Wow! What a week we have had in Year 2H! Warm Welcomes, Writing Goals and Wet Weather Paintings! 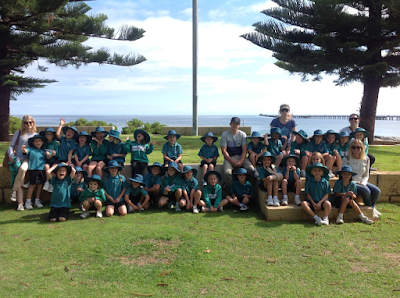 Last week in 2H we welcomed a new friend, Taya. The whole class displayed our school value of Compassion to help Taya settle in and should feel proud of their kindess and care. 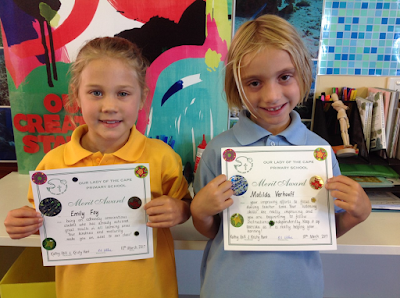 Congratulations also goes to our award winners last week, Emily and Matilda. In 2H the children have been working hard on building the skills to help the them achieve their writing goals. Each child is encouraged to be proud of the goal they are working on and not compare themselves to other children, as throughout the year, some goals will be easier to master than others.